Breakout EDU: It’s time for something different! Breakout EDU creates ultra-engaging learning games for people of all ages. Games (Breakouts) teach teamwork, problem solving, critical thinking, and troubleshooting by presenting participants with challenges that ignite their natural drive to problem-solve. Breakouts are perfect for classrooms, staff trainings, dinner parties, and at home with the family! Speciality K-12 Breakouts can be used to teach core academic subjects including math, science, history, language arts and have embedded standards that apply problem solving strategies within a real world OR collaborative context. It can be difficult, not to mention time-consuming, to navigate lengthy, complex documents. To make that process easier, today we’re launching an outline tool in Google Docs on the web and Android. Displayed in a pane to the left of the page, this outline features headers for each section of your document, making it simple to quickly jump from section to section. For a demonstration of this new feature, watch this video. Google Apps is launching the ability to export Google Docs files as EPUB publications. Simply go to the File menu > Download as > EPUB Publication (.epub). For more information, visit their Help Center. View source of this news here. 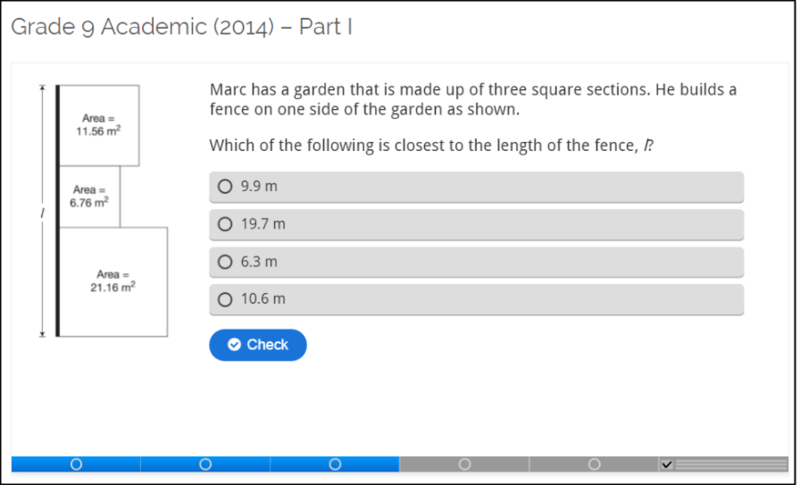 GafeHelp.ca has just added OSSLT Practice Tests! They are based on the 2009 and 2011 multiple choice sections. They are auto-marked for instant feedback and designed as a practice tool, not for assessment. All the materials are from the EQAO website. Google is launching a feature in Google Sheets that allows you to split delimited data (e.g. data separated by commas) from one column across multiple columns. There are a few ways you can split delimited data across columns. For example, you can select the columns you want to split, and click Data > Split text to columns. The new Google Forms is now the default option for Form creators. Don’t worry, the ‘running man’ in the bottom-left corner will still be there to opt-out. Searching Google Drive just got easier! Google recently came out with a new release about searching Drive that has many people excited. Now, when you use the search in Google Drive, before typing what you want to look for it prompts you in a drop-down list what type of file you are looking for! 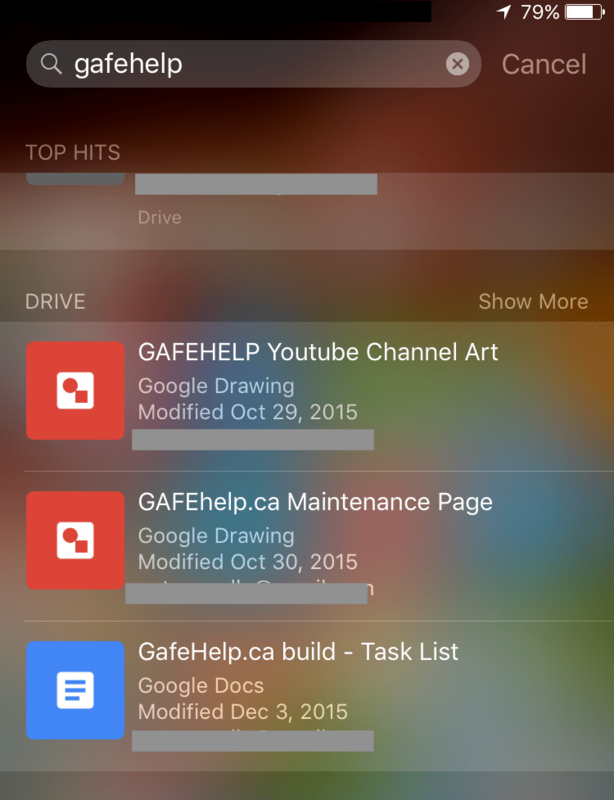 And for you iOS users out there, to find a file in your Drive, you can use the iOS search bar now without having to open the Drive app! Well… it is finally here. After many hours of planning our site through Google Hangout discussions and shared Google Docs, after endless screencast recording restarts, Google Drawing edits, HTML fiddling, and litres of coffee, GafeHelp.ca is live! Our help site was made for all of you Google Apps for Education users out there looking for a little Gafe-Help! We have a lot planned for GafeHelp – what’s here now is just a start. We look forward to sharing our ideas and curating those of others so that you can get the best out of this amazing suite of tools. We hope you enjoy the site and find it helpful.